One day in 1682, Bartolomé Esteban Murillo falls from the scaffold on which he was painting. 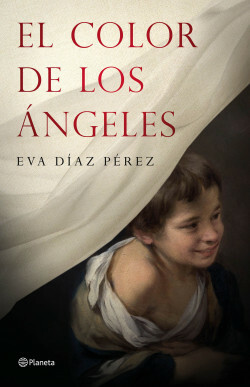 Forced to rest, he thinks back to his childhood and adolescence in the then powerful city of Seville, which would slowly enter into decline, stricken by the floods of Guadalquivir and epidemics such as the plague in which the painter would lose three of his children. A religious but also sinful Seville basking in the false allegory of its glorious past. Murillo, painter of virgins, saints and miracles, would also be a favourite of wealthy merchants and capricious aristocrats. The best painter of angels there ever was will find himself caught up in a murky affair that reveals the secret, seamy underbelly of a city of contradictions. Murillo, the most famous painter of angels, is caught up in a murky plot in the turbulent but religious Seville of the 17th Century. 2017 is the year of Murillo as it is the fourth centenary of the birth of one of the great figures of world painting. This is a perfect opportunity to publish a novel about the painter, who lived a little-known but tragic life. This is the first novel about the artist, whose works hang in museums all over the world. His life is completely unknown to a wider public and this captivating novel will grip readers with his surprising, disturbing story.